With his departure as Secretary of Defense coming soon, it is normal for Robert Gates to express his thoughts on the direction his department should go. Moreover, given his experience under both Republican and Democratic administrations, he is uniquely qualified to put forward ideas devoid of the typical political rhetoric. He made some qualified comments in a speech hosted by the American Enterprise Institute for Public Policy. Regardless of anyone’s stance on the United State’s involvement in Iraq and Afghanistan, the fact is we are involved and someone has to run the Department of Defense (DoD) during that involvement. In that capacity, Gates’ performance is a marked improvement over his predecessor, Donald Rumsfeld. During his tenure, he changed the philosophy of our strategy to one that works to end a conflict as well as reduced waste in spending within the Defense Department. In other words, Gates is fighting our wars as cost effectively as possible. In his speech, Secretary Gates points out the need to address the future needs of the military to meet our political goals. He quotes Winston Churchill with “the price of greatness is responsibility… [and] the people of the United States cannot escape world responsibility.” While the sentiment is true, it is more a question of if the United States can afford the price in the first place. Mr. Gates frames his argument in terms of Gross Domestic Product (GDP). While that is useful for generalized thinking, it masks the real-world reality he points to in his speech. Using his GDP comparison is like an individual using his extended family’s purchasing power compared to one of his particular debts. The amount of production of the US economy does not directly correlate to our level of debt. A better index compares DoD spending in a particular year to tax revenue for the same year. Secretary Gates does point this out in his speech DoD spending is less than 15% of federal spending, but couches in the number in the rosier GDP comparison. Think about it, 15% of our tax revenue goes to military spending. Using the $540 billion from his speech, that works out to $1,630.00 per citizen last year. Taken in a vacuum, it is hard to understand the relevance of such numbers. For that, we need to look at the United States compared to other countries. Indonesia (the country with the closest population size to the United States) only spends $36.30 per person. The US ranks third overall behind Qatar ($2,816) and Kuwait ($1,757). The United States maintains military bases in 28 foreign countries around the world (Afghanistan, Australia, Bahrain, Brazil, British Indian Ocean Territory, Bulgaria, Cuba, Germany, Greece, Greenland, Guam, Iraq, Israel, Italy, Japan, Kosovo, Kuwait, Kyrgyzstan, Netherlands, Philippines, Portugal, Qatar, Saudi Arabia, Singapore, South Korea, Spain, Turkey, and the United Kingdom). Given this data, isolating spending to the United States alone does not paint a complete picture. Secretary Gates points to the need of a military capable of fighting two simultaneous regional wars. Perhaps it’s time to evaluate what other countries, out partners in many cases, are and are not doing. Simply put, we (the United States) can no longer fund a military that serves as a positive externality for the economies with which we compete. For example, our military spends billions of dollars in the Asiatic region. We support goals like freedom of access to shipping lanes, mutual defense agreements, and deterrence of piracy. While there is no question it is in our interest, it is in the interest of China too. The question becomes why should we pay for something that benefits the Chinese economy. Furthermore, given that China holds a substantial amount of our public debt, in the form of US Treasury Bonds, China loans us the money with which we finance our military. This means we are paying for the privilege of defending China’s national interests in their own backyard. By no means is the positive externality limited to China. Every country listed above spends less of defense simply because we spend more. In this regard, the amount of military spending compared to GDP is meaningless. What matters is the long-term debt to GDP ratio. In this regard, China is in a much better position to take on more costs in defense than the United States. China’s debt is estimated at $483.5 billion with a GDP of $5.308 trillion. The United Stated debt is estimated at $14.03 trillion with a GDP of $15.03 trillion. China’s debt represents 9.6% of GDP. The United States’ debt represents 93.47% of GDP. Again, calculations based on Wolfram Alpha search results. Gates, Robert M. “American Enterprise Institute (Defense Spending).” America in the World: An Address by Secretary of Defense Robert Gates. Wohlstetter Conference Center, Twelfth Floor, AEI, Washington DC. 24 May 2011. Speech. Churchill, Winston S. “The Price of Greatness.” Welcome to WinstonChurchill.org. Web. 26 May 2011. <http://www.winstonchurchill.org/learn/speeches/speeches-of-winston-churchill/118-the-price-of-greatness>. Crane, Stephen. “War Is Kind.” The Literature Network: Online Classic Literature, Poems, and Quotes. Essays & Summaries. Web. 26 May 2011. <http://www.online-literature.com/crane/2560/>. As countries and international governmental organizations (the G20, for example) try to recover from the worldwide economic recession, many are calling for austerity measures as a driving force. While no one can challenge the need for governmental frugality, reducing spending, as the primary means to pay long-term debt, puts a country on the road to economic disaster as well as civil unrest. The situations over the last year in Greece and Ireland come to mind. Austerity is a fancy term used by politicians and governmental economists meaning to reduce spending and increase fees to pay long-term debt. We hear the term in news coverage of Europe, more than in the United States. Unfortunately, here, the idea is gaining traction. It is the equivalent of thinking you can pay off your home loan buy reducing your electric bill. While shrinking spending helps and can prevent increasing debt, it generally does not have the heft to make a dent in overall debt load reduction. While austerity may not seem a bad idea, at face value, a government implements austerity measures when its debt obligation is unsustainable and it has no viable option to increase direct taxes, in other words, the government is near economic collapse. This is exactly the position Greece found itself in late last year and where Ireland is today. One of the primary functions of any government is to provide its citizens with services beyond the reach of the individual, a country’s infrastructure, for instance. Each road we drive and each bridge we cross are examples of how we use our infrastructure daily. Of course, governments have other obligations to their citizens too; national defense is an obvious one. The need to maintain our infrastructure and have a solid national defense is easy to understand. Other programs are not so straightforward. The social programs we, here in the United States, have are somewhat murky as politicians routinely use them as a political football and it is these social programs, for the most part, people in America have in mind when they talk about undertaking austerity measures. It is perfectly understandable why people view social programs with an eye towards cutting; after all, they make up about 36% of our national budget. It is common to hear them referred to as “entitlement programs.” Social programs include Social Security, Medicare, Medicaid, and unemployment benefits. Other areas of focus, for the austerity crowd, include the Departments of Education, Health and Human Services, as well as others. Basically, any department or program that deals with the social welfare of the public. The problem, as citizens in Europe are finding out, is a cut in government services does not improve the economic outlook; it diminishes it. 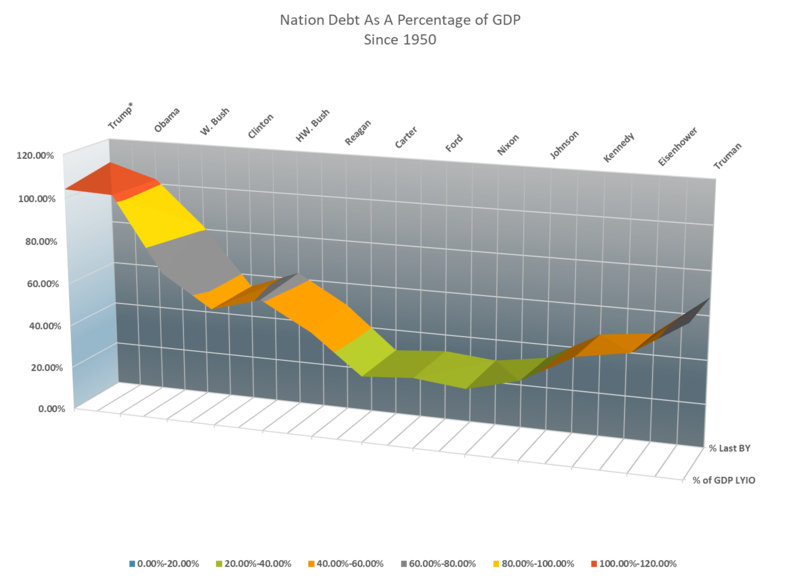 While government debt is real and very tangible, a nation’s economy is based on more. A nation’s economy responds to not-so-tangible things like faith that things will improve, or at least remain positive. A reduction in social services has a chilling effect on its citizen’s outlook. In turn, that leads to reluctance, on the part of citizens, to spend what little money they have, ending in less economic activity. Think of it as a downward spiral, the less the government spends on essential services, the more citizens take up the slack. The more citizens take up the slack, the less money they spend on discretionary items. The less spent on discretionary items means a drop in sales overall, further reducing the tax base causing the government to make deeper cuts in services and starting the cycle over. All the while, the overwhelming debt that started the whole mess remains. In the end, other steps must take place to return an economy to strength. Reducing the debt is paramount. The trick is to reassure citizens, and foreign investors that sound policies are in place to reduce debt over time. Citizens require special reassurance that money taken from them to provide for something like Social Security is not wasted. We all know the stories about drug addicts using their money from various social programs to purchase drugs or that the ATMs at gambling casinos were accepting unemployment cards intended to pay for essentials. These issues must be addressed when they happen, but a particular abuse does not diminish the need for a program overall. Without question, cuts need to occur in every area where we find waste, but a program of austerity is not the answer, especially an austerity program that focuses solely on social programs. Moreover, we must reevaluate every program and department and define what level of service we, the citizens, expect for our tax dollar. In the end, we need a government that not only pays its debts but also meets its obligations to the citizens it serves. Just as the captain of a super-tanker cannot stop her massive ship on a dime, our massive debt will not reduce overnight. We need policies for long-term sustainability regardless of the cost to current political objectives. Only then will we successfully navigate the troubled economic waters we face. Only then will we avoid the troubles Greek citizens are in, Irish citizens are about to entertain and the rest of Europe seems unwilling to recognize. “G-20 Major Economies.” Wikipedia, the Free Encyclopedia. Web. 26 Nov. 2010. <http://en.wikipedia.org/wiki/G-20_major_economies>. Evans-Pritchard, Ambrose. “Europe’s Austerity Anger Grows – Telegraph.” Telegraph.co.uk – Telegraph Online, Daily Telegraph and Sunday Telegraph – Telegraph. 29 Sept. 2010. Web. 26 Nov. 2010. <http://www.telegraph.co.uk/finance/financetopics/financialcrisis/8033238/Europes-austerity-anger-grows.html>. “Budget of the United States Government: Main Page.” GPO Access Home Page. Web. 26 Nov. 2010. <http://www.gpoaccess.gov/usbudget/>. Imagine you work for a big, a very big, company that makes the latest “what’s-it” everybody wants. While you did not invent it, you did protect it and promote it and made it the thing everyone has to have. In fact, the company rewarded you by making you the director of the what’s-it division. Sales are through the roof and life is good. Good that is until it is discovered the what’s-its fall apart quickly and have no real value. Sales drop, the price drops, and investors pull out what little value their investments have by selling stock for a loss. To make matters worse, it seems you hid critical data from shareholders that would have ended the project before the losses occurred. What are the chances the company will promote you to senior vice-president in charge of quality control and oversight? Ice has a better chance in hell. Still, that is exactly what has happened with our financial system. The people, the very same people that derailed our economy are now responsible for guiding its recovery. For example, Treasury Secretary Timothy Geithner worked for former Treasury Secretary Robert Rubin who was the driving force that changed the rules for banking (the Glass-Steagall Act[i]) put in place after the Great Depression. Recently as Secretary, Geithner complained in testimony to the House Committee on Financial Services the Federal Reserve “does not have any legal authority to set or enforce limits on risk taking by a large global financial firm. [ii]” Of course, he neglected to point out he was part of Rubin’s team behind removing the Federal Reserve’s authority with the repeal of Glass-Steagall. As if that was not bad enough, Secretary Geithner’s Chief of Staff is Mark Patterson. According to his biographical information on the Treasury’s website, “Mr. Patterson was a Vice President at Goldman Sachs from 2004 to 2007, and a Managing Director from 2007 to April 2008[iii].” Goldman Sachs is one of the companies currently under investigation by the Securities and Exchange Commission (SEC) for fraud[iv] and MR. Patterson was one of the men at its helm. Will the SEC investigate the Treasury Secretary’s Chief of Staff? How likely is there even to be a criminal investigation? Next up is Gary Gensler, the Chairman of the Commodity Futures Trading Commission. According to his biographical information, he was a partner at Goldman Sachs and worked for the firm for eighteen years[v]. Senior partners at Goldman Sacks must still have his cell phone on speed dial. Another influential power broker on the administration’s payroll is Larry Summers. Summers currently serves as Director of the National Economic Council as well as being one of President Obama’s closest advisors. He served as Treasury Secretary from 1999 until 2001. A recent article in the Washington Post details over $5 million in payments to Mr. Summers over the last year by a hedge fund and over $2.5 million in speaking fees from Wall Street Firms, Goldman Sacks paid him $135,000 for a single day’s work. [vi] In 2008. If by chance it was an eight-hour day (not likely) that works out to an hourly wage of $16,875.00. Maybe Goldman Sacks understood that if either of the Democratic candidates won the election, Mr. Summers was more than likely going to have a role to play. Did that have something to do with them paying him more than the median home price in Atlanta, Georgia[vii] just to make a speech? Of course not! It is by no means a one-way street as Goldman Sachs’ hiring of President Obama’s former White House counsel, Gregory Craig illustrates. While no one can question Mr. Craig’s legal abilities, his knowledge of, and contacts within the administration and Democratic circles cannot be a negative regarding his retention as council. 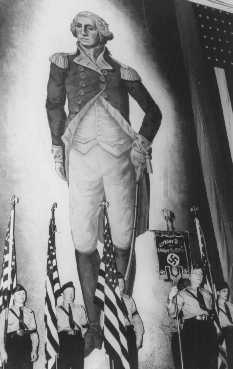 Washington plays the ultimate game of one-upmanship. During President Bush’s term in office, it was Vice-president Cheney’s close relationship with Halliburton that, at least, appeared to be a conflict of interest. 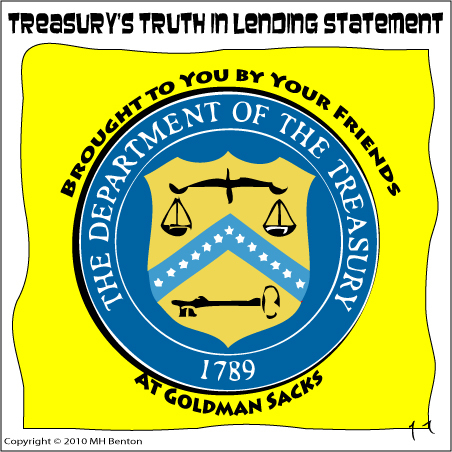 Now, in President Obama’s administration we see potential conflicts of interest in many departments and areas dealing with finance and specifically with Goldman Sacks. Conservatives have every right to point this out as liberals raked them over the coals for the very same thing. It is hypocritical, to say the least, for President Obama to fill his administration with these dupes and villains of Wall Street and claim they have no bias. It seems Wall Street agrees with President Obama’s campaign slogan of “Yes We Can,” but adds something to it – “Yes we can! We can rip-off America and get away with it.” They obviously have the people in place to do just that. [i] Banking Act of 1933 (1933). Print. [ii] “TG-646: Treasury Secretary Tim Geithner Opening Statement as Prepared for Delivery before the House Committee on Financial Services.” United States – Department of The Treasury – Homepage. Web. 10 May 2010. <http://www.ustreas.gov/press/releases/tg646.htm&gt;. [iii] “U.S. Treasury – Mark A. Patterson – Chief of Staff to Secretary of the Treasury.” United States – Department of The Treasury – Homepage. Web. 10 May 2010. <http://www.ustreas.gov/organization/bios/patterson-m.html&gt;. [iv] “SEC Charges Goldman Sachs With Fraud in Structuring and Marketing of CDO Tied to Subprime Mortgages; 2010-59; April 16, 2010.” U.S. Securities and Exchange Commission (Home Page). Web. 10 May 2010. <http://www.sec.gov/news/press/2010/2010-59.htm&gt;. [v] “Chairman Gary Gensler – CFTC.” U.S. Commodity Futures Trading Commission. Web. 10 May 2010. .
[vi] Rucker, Philip, and Joe Stephens. “White House Economics Aide Summers Discloses Income – Washingtonpost.com.” Washingtonpost.com – Nation, World, Technology and Washington Area News and Headlines. Web. 10 May 2010. <http://www.washingtonpost.com/wp-dyn/content/article/2009/04/03/AR2009040303732.html&gt;. [vii] Real Estate Education, Information, Marketing Resources & Much More. Web. 10 May 2010. <http://www.realtor.org/wps/wcm/connect/a6c39a80420f5393a656eed140d385a7/rel09q4t.htm?MOD=AJPERES&CACHEID=a6c39a80420f5393a656eed140d385a7&gt;. We all know statistics are manipulated by politicians, lobbyists, and pretty much anyone with an agenda, to suit their purpose. It is one of the generally confusing aspects of arriving at a sense of the truth on where we stand as a nation. To add to our perplexity, the numbers talked about are so large as to lose all relative meaning. 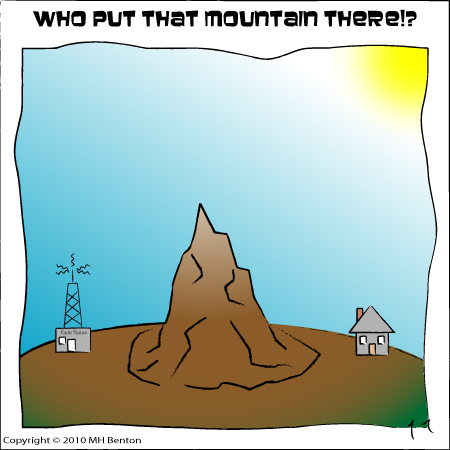 After all, who’s ever seen a trillion of anything? For practical purposes, it’s just a number that’s much larger than a billion – another number beyond reasonable use for most of us. What good is it to state the Department of Defense’s budget in 2007 (click here to see the Office of Management and Budget (OMB) report) was $529 billion? All we really know is that is a very big number. Another way to look at the budget is by percentage, rather than by dollars spent. That same $529 billion works out to be about 17% of the over all federal budget that year. In looking at it this way, we can ask if 17% is a reasonable portion to apply to national defense. Currently, the Department of Defense takes up about a third as much of the budget compared to 1962. Returning to that really large number, $529 billion, makes one question just where the other 83% and its huge number go. Obviously, as the Department of Defense’s portion decreases, other department’s portions increase. Looking at it line by line does not tell the true story. The federal budget has many related areas of spending that the public tends to group together. To that end, the following graph groups the Department of Defense, Homeland Security, Civil Defense as “defense”; while Education, Health and Human Services, Housing and Urban Development, Veterans Affairs, Social Security (on and off budget) are grouped as “social services.” The grouping seems the obvious choice but is open to debate. 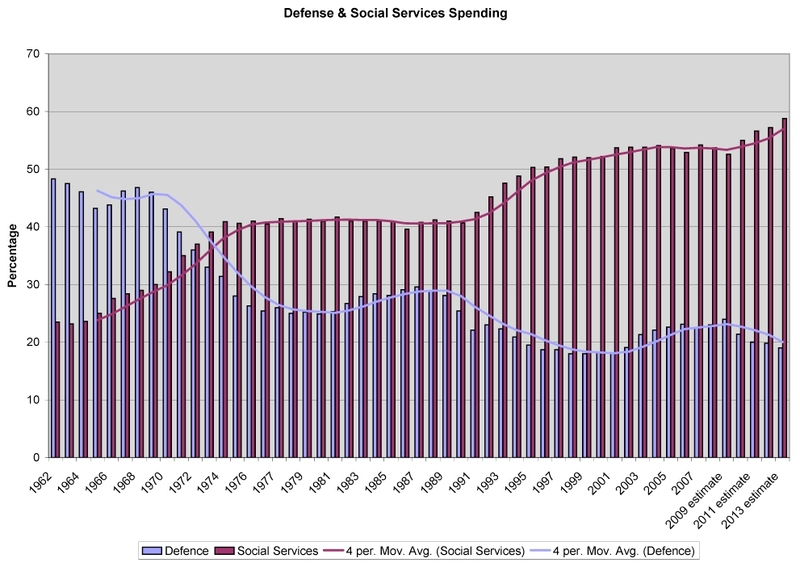 As the graph illustrates, the trend in social spending is increasing while defense is decreasing. In other words, the conservatives make a valid point regarding percentage. In reality, all portions other than social programs are either trending at the same level or decreasing slightly. Currently, the social services take up 55% of the budget to defense’s 23%. Together, they take almost 77% of the federal budget leaving only 23% for everything else. A few examples of “everything else” are the Department of Justice, NASA, Department of Commerce, Treasury, State Department, and Department of Interior. That is not even close to all of them. Regardless of a person’s position on healthcare reform, the trend of social services to take a larger and larger portion of the federal budget must be addressed. As important as healthcare is, so is having bridges that do not collapse. In the end, along with healthcare reform, we need budget reform. We need to attack waste in every program funded with federal money. We need to stop Medicare fraud; we need to stop buying F-22 fighter planes the military does not want or need. Using the F-22 as an example, congress added about $1.7 billion for seven fighters. That is less than one-half of one percent of the defense budget but it is also one type of fighter, seems the same thing is happening with the C-17 transport planes. Even with their declining percentage, there is still room to cut waste. What about social services, does it really have Medicare fraud? Of course it does. Mark Potter of NBC News reported in December of 2007 (click here to read story) that Medicare fraud cost taxpayers $60 billion a year, or $181 for every U.S. citizen. $60 billion is about 8% of the Social Security budget in total. A simple solution would be take just one billion from Social Security and use it to hunt down the bastards stealing from us and put them in jail. Even if only half the money were recovered, it would be well worth it. Just removing the fraud would pay for an annual doctor’s visit for everyone. Washington is getting serious about spending a huge amount of money on healthcare reform; we all know the huge amount spent on two wars. Perhaps just as much effort needs to take place in ensuring tax dollars are not squandered. 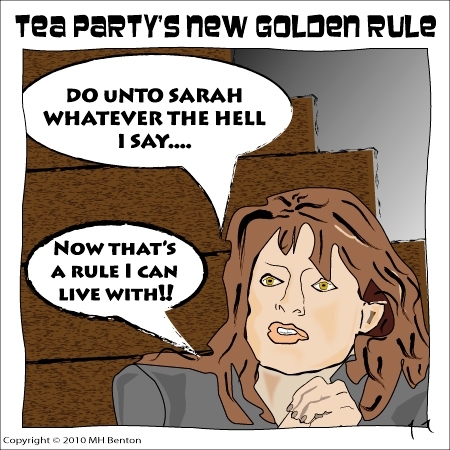 While it is easy to support healthcare reform, the voices calling for restraint must be heard as well. Rather than name calling, it is best to phrase it this way – those seeking healthcare reform are interested in our physical health as a nation; those for restraint are interested in our financial health. Neither side is wrong and there is plenty of common ground to be found. Only by seeking that common ground will we provide services we want at a cost we can afford. Without denying the need for reform in areas of healthcare, cost is a valid concern. Just as spending all of your paycheck on new tires for your car leaves you without groceries, spending all our tax dollars on healthcare leaves the other departments without. Prudence demands we use the money wisely. One thing all of us should easily agree on is to stop waste, fraud, and abuse of our tax dollars.